Replace or clean your furnace filters every one or two months. Dirty filters obstruct airflow and the furnace has to run longer to achieve the same temperature. Purchase an ENERGY STAR® furnace that has a variable speed motor. 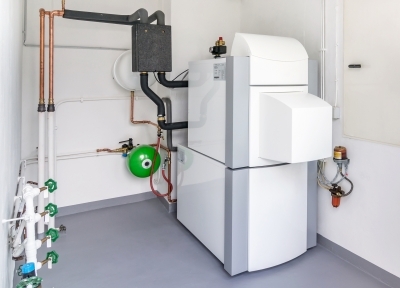 Upgrading from the standard 60% efficiency gas furnace to one with a variable speed motor and 95% efficiency rating can save the average homeowner $588 on annual electric and gas costs. Decrease your thermostat setting by 4 or 5 degrees Celsius or 7 to 9 degrees Fahrenheit when you are sleeping or when your home is empty. Use a programmable thermostat. For every 1 degree Celsius you lower the thermostat, you can save 2% on your heating costs. You can save up to $60 annually when you have a programmable thermostat to adjust your heat when you do not need it. Use cold water for washing your clothes. Upwards of 90% of energy used to wash clothes is consumed by heating the water. By washing your clothes in cold water, not only can you help the environment, but you can save money and energy. Only wash a full load of clothes. Invest in a front-loading washing machine. Front-loading washing machines use less water and require less energy to work. They use approximately half the energy of a top-loading machine and about 40% less water. Weather-stripping is used to create a barrier between the movable and fixed components of windows and doors. Add weather-stripping to garage doors, exterior doors, windows, and doors that lead to the basement or attic. Use caulk or sealant around windows, sills, door frames, and joints. When it is windy outside, feel around these areas for air coming inside your home. You can also use incense sticks to identify drafts that may be entering from windows, vents, doors, or electrical outlets. Keep an eye out for spider webs. If you find a spider web, there is also a draft. To prevent loss of heat, cover windows with plastic. Remove drapes, furniture, and rugs from around heating vents and air grilles. This prevents interference with heated air throughout your home.